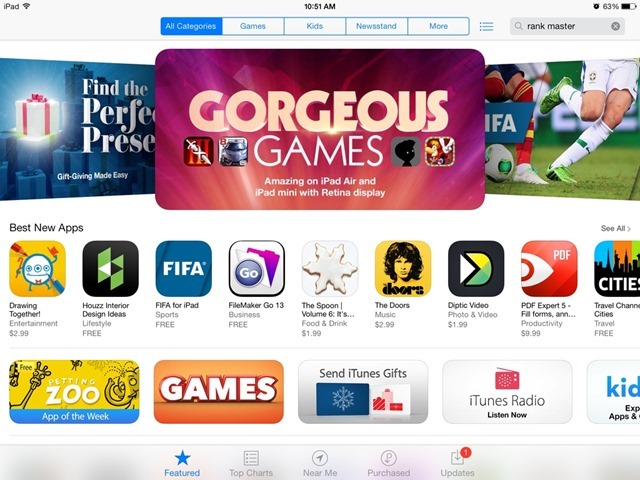 This weekend Apple’s iOS App Store hit another major milestone – one million apps available. As reported by MacRumors, Apple has now approved over 1.4 million apps since the App Store launched in 2008 and there are now over 1 million available to install. There are over 500,000 apps designed specifically for the iPad and over 900,000 for the iPhone. I’ve seen plenty of jokes over the weekend saying that 90% of those apps are worthless or just fart apps and similar. Admittedly there are a large number of low quality apps in the App Store, but there are also plenty of excellent apps – which even a quick glance at the Featured section each week will confirm. We see so many huge App Store numbers that it’s easy to become more than a little jaded by them, but it’s still pretty incredible to think that 6 years ago the store didn’t exist and 4 years ago there was no iPad.